Row by Row Shop Winner is Liz K. of Englewood!!! 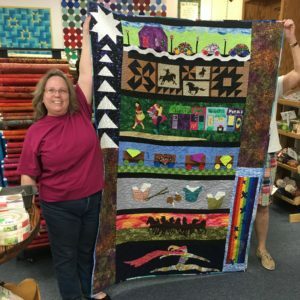 Congratulations, Liz on creating this gorgeous Row by Row Quilt! 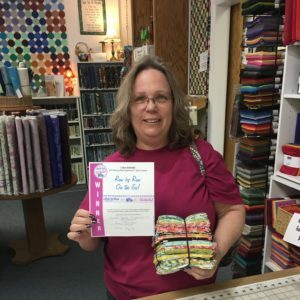 Liz won a bundle of 25 bright, modern fat quarters as well as a $50 Gift Card from Wooden Spools (yay!) Her quilt is on display at the shop, so drop in to see it in person!